Standard Chartered has been fined $1.1 billion as a result of allegations of bad anti-money-laundering (AML) practices and breaching sanctions against countries including Iran. In regard to the breach of sanctions, the British bank has agreed to pay $947 million to American agencies, including the US Department of Justice, according to The Guardian. Separately, it was fined £102 million by the Financial Conduct Authority (FCA) for AML breaches that included deficiencies around counter-terrorism finance controls in the Middle East. 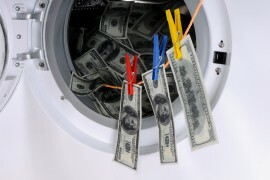 It is the second-largest fine ever imposed by the UK regulator for anti-money-laundering failures. The bank also violated sanctions imposed against Burma, Zimbabwe, Cuba, Sudan, Syria and Iran, says the US treasury department. The US department says Standard Chartered processed transactions worth $438 million between 2009 and 2014, the majority of which involved Iran-linked accounts from its Dubai branch routing payments through, or to, its New York office or other US-based banks. The fines were expected after Standard Chartered said it was bracing for up to $900 million in penalties. Standard Chartered says it “accepts full responsibility for the violations and control deficiencies”, saying that none of these breaches took place after 2014. The prospect of major fines has hung over Standard Chartered since 2012, when it entered into a deferred prosecution agreement (DPA) with the US Department of Justice and the New York county district attorney’s office over Iranian sanctions breaches beyond 2007.